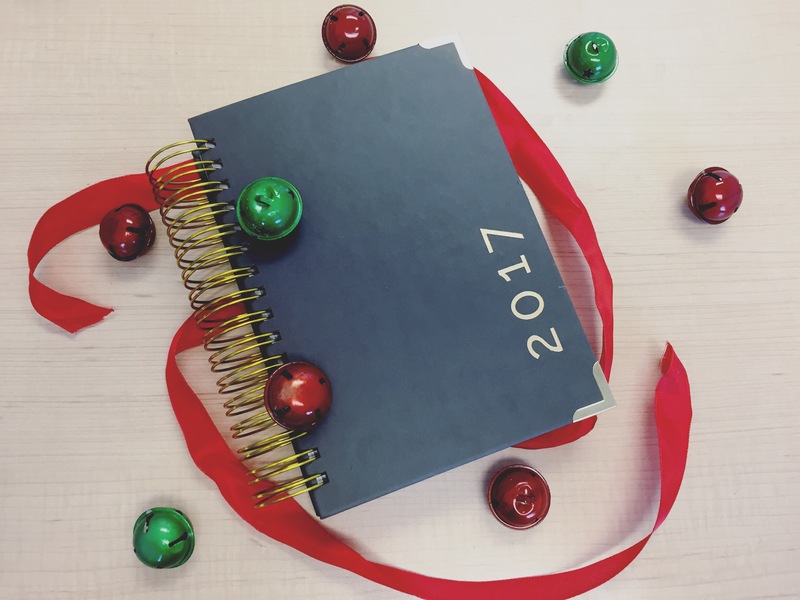 My room is a mess, my hair is a mess, my car is a mess – but my planner is not. My schedule is not. Because the only thing I can really seem to organize is my time and my planner. If it’s not in my planner, it might as well not even exist. I have all of my goals, all of my lists, all of my life in my planner. They forced planners upon us in grade school and I seriously never grew out of it. I used one all through high school, all through college, and now in the real world – I have TWO planners. Without them, I just get anxiety about what happens next. I planned out my January in November. And to some, this may seem unhealthy. But if it’s not written down I kind of lose my mind. I don’t schedule every second of every day, or make plans for every weekend. But a lot of things are scheduled in advance nowadays, so to plan early is the only way I can keep up! If you’re a planner like me, you can head over to my Instagram and enter this giveaway for an amazing planner!! It has space for you to list your goals, bills, grocery lists, and day to day activities. If you’re not a planner like me, omg I don’t know how you survive. I couldn’t agree more! I live by my planner. haha well that’s a start! No worries Rosie I do this too. I really don’t know how I’d survive without planning. I plan my outings, appoinments, and events. At home I make lists of tasks needed doing for blog, other writing, chores, etc… I’m not always on schedule and plans often alter, but it keeps me focused. I assume as well, you are a goal-setter too. We plan because achieving goals make us feel good, like we’ve done a good job and accomplished what we set out to. Am I right?